Jenkins Azure ACR Build plugin now in public preview – Azure Container Registry (ACR) Build is a suite of features within ACR. It provides cloud-based container image building for Linux, Windows, and ARM, and can automate OS and framework patching for your Docker containers. Now you can use Azure ACR Plugin in Jenkins to build your Docker image in Azure Container Registry based on git commits or from a local directory. One of the best things about ACR build is you only pay for the compute you use to build your images. The Azure Podcast | Episode 247 – Partner Spotlight – Snowflake – Cynthia, Evan and Cale talk to Leo Giakoumakis, head of Snowflake’s Seattle Development Center, about their Data warehouse platform built for the cloud (and now available on Azure). Immutable storage for Azure Storage Blobs now generally available – Many industries are required to retain business-related communications in a Write-Once-Read-Many (WORM) or immutable state that ensures they are non-erasable and non-modifiable for a specific retention interval. Immutable storage for Azure Storage Blobs addresses this requirement and is available in all Azure public regions. Through configurable policies, users can keep Azure Blob storage data in an immutable state where Blobs can be created and read, but not modified or deleted. The IoT Show | Enhanced IoT Edge developer experience in VS Code – Joe Binder, PM in the Visual Studio team shows us the latest and greatest additions to the Azure IoT Edge extension for Visual Studio Code such as solution templates and debugging features. The IoT Show | Azure IoT DevKit OTA Firmware update – Arthur Ma, developer lead in the Visual Studio team joins Olivier on the IoT Show to demonstrate how to do a Firmware update of a microcontroller over the air with Azure IoT Hub. Remote Monitoring Solution allows for root cause analysis with Azure Time Series Insights – Azure Time Series Insights is now integrated into the Azure IoT Remote Monitoring solution accelerator. With Time Series Insights, you can gain deeper insights into your time-series sensor data by spotting trends, anomalies, and correlations across real-time and historical data in all your locations. All messages data from your IoT devices will be stored in Time Series Insights, but your alarms, rules, and configuration settings will remain in Azure Cosmos DB. HDInsight tools for Visual Studio Code: simplifying cluster and Spark job configuration management – HDInsight Tools for Visual Studio Code now uses Visual Studio Code’s built-in user settings and workspace settings to manage HDInsight clusters in Azure regions worldwide and Spark job submissions. With this feature, you can manage your linked clusters and set your preferred Azure environment with Visual Studio Code user settings. You can also set your default cluster and manage your job submission configurations via Visual Studio Code workspace settings. Getting AI/ML and DevOps working better together – The difficult part about integrating AI or ML into an application is getting the model deployed into a production environment and keeping it operational and supportable. AI/ML projects need to incorporate some of the operational and deployment practices that make DevOps effective and DevOps projects need to accommodate the AI/ML development process to automate the deployment and release process for AI/ML models. See this post for suggestions for bridging the gap between DevOps and AI/ML projects that are based on lessons learned from several Microsoft projects including the Mobile Bank Fraud Solution. Deep dive into Azure Repos – Azure Repos (a service in Azure DevOps) has unlimited free private repositories with collaborative code reviews, advanced file management, code search, and branch policies to ensure high quality code. Learn how Azure Repos is great for small projects as well as large organizations that need native AAD support and advanced policies. Deep dive into Azure Test Plans – Azure Test Plans (a service in Azure DevOps) provides a browser-based test management solution for exploratory, planned manual, and user acceptance testing. Azure Test Plans also provides a browser extension for exploratory testing and gathering feedback from stakeholders. Deep dive into Azure Artifacts – Azure Test Artifacts (a service in Azure DevOps) manages the dependencies used in your codebase and provides easy tools to ensure the immutability and performance of those components. For teams that use or produces binary packages, Azure Artifacts provides a secure, highly performant store and easy feed. Programmatically onboard and manage your subscriptions in Azure Security Center – To streamline the security aspects of the DevOps lifecycle, ASC has recently released its official PowerShell module. This enables organizations to programmatically automate onboarding and management of their Azure resources in Azure Security Center and adding the necessary security controls. This blog post focuses on how to use this PowerShell module to onboard Azure Security Center. You can now use the official PowerShell cmdlets with automation scripts to programmatically iterate on multiple subscriptions/resources, reducing the overhead caused by manually performing these actions, as well as reduce the potential risk of human error resulting from manual actions. Azure Friday | Batch and matrix routing with Azure Maps – Julie Kohler joins Scott Hanselman and shows you how to execute batch routing calls using Azure Maps as well as how to do matrix routing with a given set or origins and destinations. Azure Friday | Batch geocoding and polygons for administrative areas with Azure Maps – Julie Kohler joins Scott Hanselman and shows you how to execute batch geocoding calls using Azure Maps as well as how to get the polygon for an administrative area on a map. Azure Friday | Mapping IP to location with Azure Maps – Julie Kohler joins Scott Hanselman and shows you how to get the ISO country code for a provided IP address to tailor your application to your customers’ needs based on geographic location. Azure Friday | Calculating isochrones in Azure Maps – Julie Kohler joins Scott Hanselman and shows you how you can generate an isochrone using Azure Maps. Isochrones represent the reachable range from a given point using a set of constraints such as fuel, energy or time. Microsoft Ignite 2018 – If you’re not able to join us next week for this premiere event, be sure to watch online to watch the live stream from Orlando. Come check out Azure Stack at Ignite 2018 – If you’re attending Microsoft Ignite in Orlando next week, the Azure Stack team has put together a list of sessions along with a pre-day event to ensure that you will enhance your skills on Microsoft’s hybrid cloud solution and get the most out of this year’s conference. The agenda is tailored for developers who use Azure Stack to develop innovative hybrid solutions using services on Azure Stack and Azure, as well as operators who are responsible for the operations, security, and resiliency of Azure Stack itself. How to work with extensions in Azure App Service – Learn how to add extensions to web applications in Azure App Service. Watch to see the list of the various extensions from Microsoft and external parties that you can choose from and how to create your own. How to test web applications in production – Learn how to test web applications for production using Azure App Service. Using this testing in production feature, makes it easier for you to carry out AB testing with different versions of your application. Simplify modern data warehousing with Azure SQL Data Warehouse and Fivetran – Fivetran has certified their zero maintenance, zero configuration, data pipelines product for Azure SQL Data Warehouse. Fivetran is a simple to use system that enables customers to load data from applications, files stores, databases, and more into Azure SQL Data Warehouse. In addition, the Azure SQL Data Warehouse is present in Fivetran’s Cloud Data Warehouse Benchmark, which helps compare cloud providers TPCDS 1TB TPCDS performance. Tuesdays with Corey | What up with Azure File Sync – Corey Sanders, Corporate VP – Microsoft Azure Compute team sat down with Will Gries, Senior PM on the Azure Storage team to talk about Azure File Sync! Improve patient engagement and efficiency with AI powered chatbots – Patients are more likely to give a higher rating for patient engagement if they have some way to communicate to an organization with as little friction as possible. Improving the patient engagement experience can also improve patient outcomes — the hope is to do it affordably. AI-powered health agents, also known as “chatbots,” can engage patients 24/7, using different languages, and at very low cost. Read this post to get an overview of powerful cloud-based tools you can use to rapidly create and deploy your AI-powered health agents in Microsoft Azure. 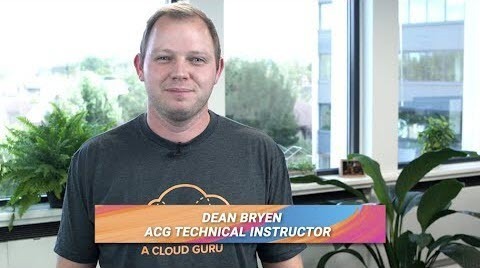 Azure This Week | 21 September 2018 – Dean looks at Video Indexer, which is now GA, how you can save money and increase performance with GPUs vs CPUs for deep learning, as well as updating you on a brand new Azure course on A Cloud Guru. Next Post (n)	What is Cloud Computing?